This sounds great. Next time, try some sugar or maple syrup in the brine. Sounds crazy but seems to match up pretty well. Thanks for the idea. 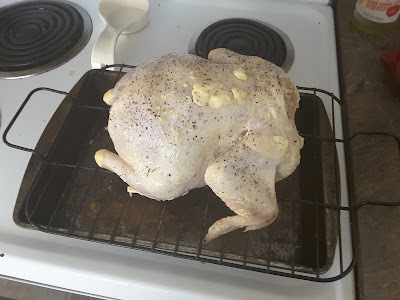 Here's my hesitation: as you can see from the update, I ultimately cooked the chicken with lemon, salt, pepper and rosemary. Do you think the sugar would have made it too sweet? 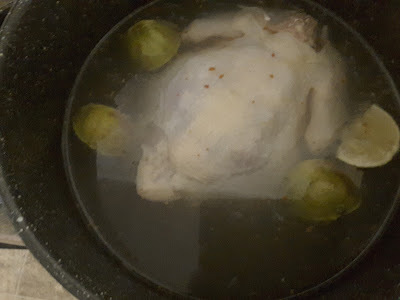 I only add about a half cup or less per gallon of brine. And I forgot to say I use brown sugar. They are as much a flavour as a sweetner. I do use kosher salt, and quite a bit. It does not penetrate the flesh but does the fat in and under the skin. Rinse really well before roasting and the rest of the salt renders out while baking or smoking. Let it bake on a bed of celery, carrots, and parsnips. Save all the veges and rendered fat and blend it up. 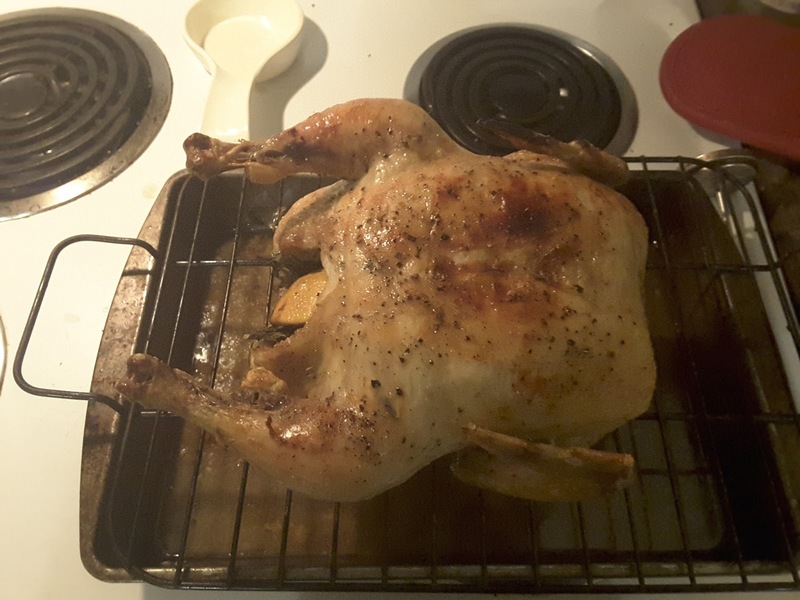 Store in freezer bags and you have a marvelous instant base for turkey soup. Would that be allowable for days of abstenance if the meat is strained out?